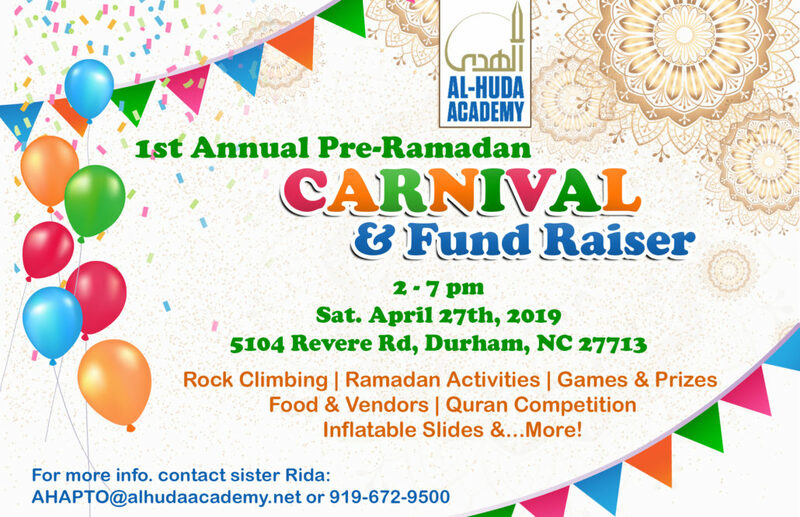 On Saturday, April 27, 2019 from 2 – 7 pm, we will host our First Annual Pre-Ramadan Carnival & Quran Competition. Click here for more details. Al-Huda Academy is growing by leaps and bounds! Honoring every child. Celebrating Differences. Embracing Community. Our community of teachers, students, parents and administrators work together to create a loving, caring community that honors every child and every family. With the Help of Allah SWT and the Support of the Muslim Community, Al-Huda Academy was founded in 2009 by the Raleigh-Durham Chapter of the Muslim American Society, in collaboration with Jamaat Ibad Ar-Rahman, Durham. Al-Huda Academy follows Common Core Standards & North Carolina Standard course of study for Language Arts, Math, Social Studies, Science, Health and Physical Education. Arabic language is taught by native Arabic speakers and exclusively in Arabic. Utilizing games, activities and crafts to help develop Arabic proficiency, teachers do not speak English during instruction. The goal of our Islamic and Quran Studies department is to create a love of Islam. Concepts are explained in relation to students’ daily lives allowing them to view Islam as a practical way of living. Al-Huda Academy seeks to enrich our student’s core education with the opportunity to explore subjects such as technology, gardening, team sports and art.